On the testbed today is Biostar’s Geforce GT240 (VN2405THG1). 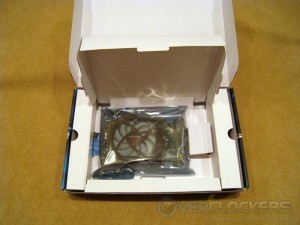 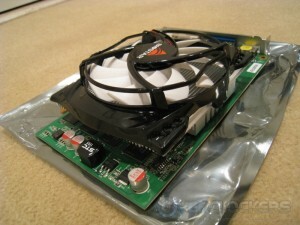 The Geforce GT240 is a lower-end card and is aimed at HTPC applications. 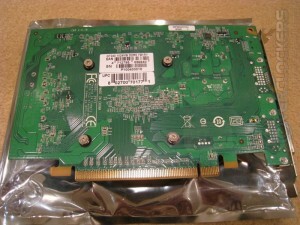 While this card can be used for gaming (somewhat), it is best used for displaying 1080p (“Full HD”) video and helping with other video decoding duties. 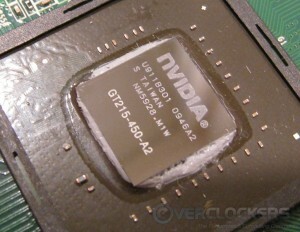 The best news is that this card can be overclocked, so it can still be fun for us enthusiasts. 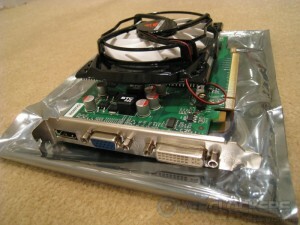 The GT240 doesn’t have overly impressive stats, but the 1GB of GDDR5 and HDMI port keep it relevant in todays market. 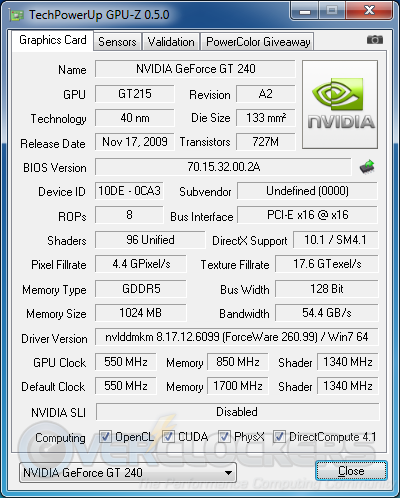 The GT240 falls right in line with other NVIDIA cards in that the BIOS is flashable using NiBiTor and nvflash. However, flashing the BIOS isn’t entirely necessary because there isn’t anything unlockable that can’t be touched through a program like MSI Afterburner. 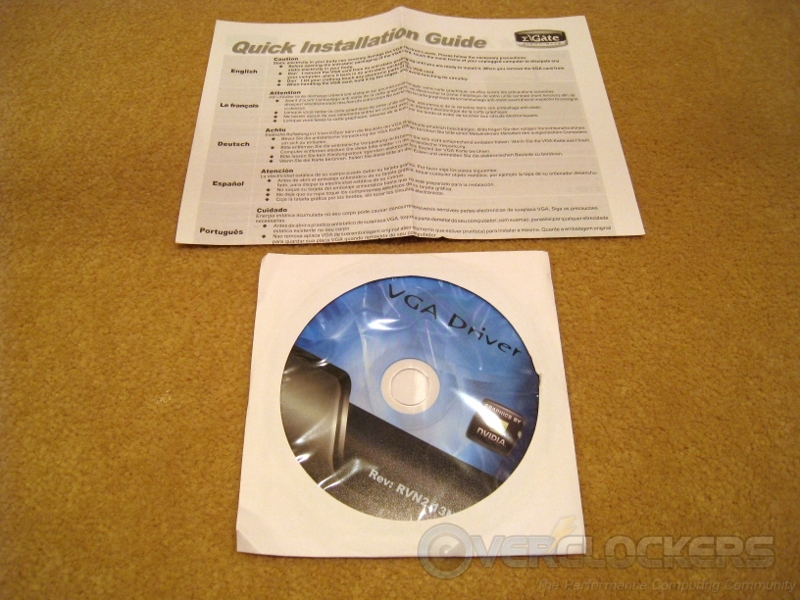 I was able to lock the core voltage at 1.0 V for 3D tests by flashing the BIOS, but the voltages were not fully unlockable so I was only able to choose from the three presets. 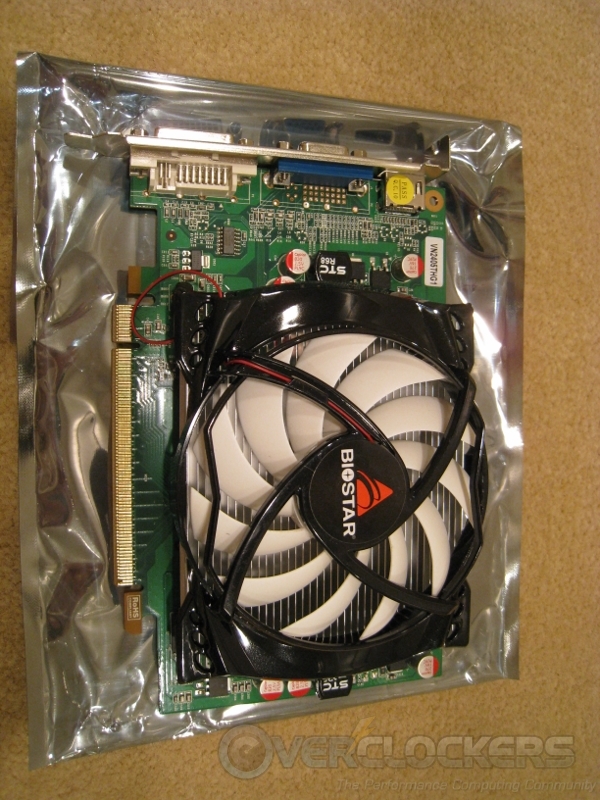 As far as game tests go, the card performed O.K. on older generation benchmarks like 3DMark01 and 3DMark03. 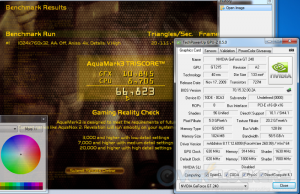 It doesn’t have DirectX 11 support so I couldn’t run any modern tests like 3dMark11, Alien Vs. 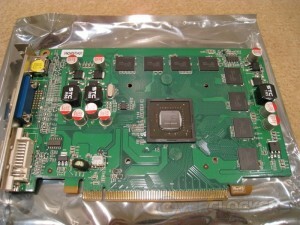 Predator, or Unigine. 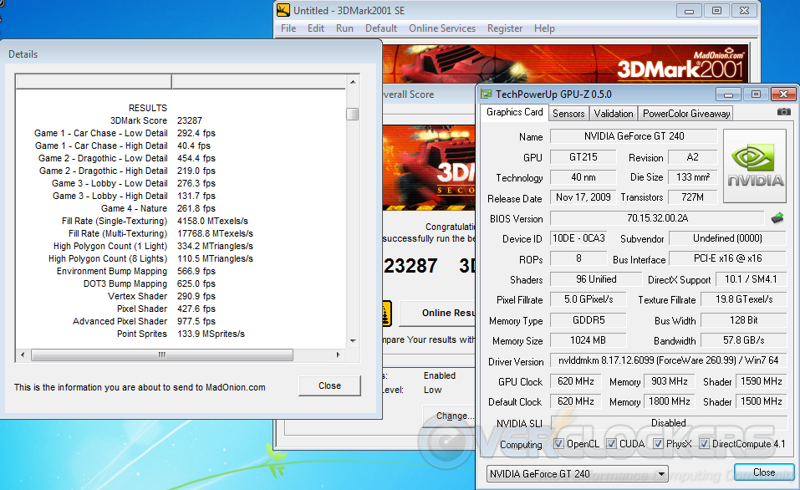 However, it’s pretty easy to judge from the 3DMark Vantage scores that the card would not fare too well. What you want this card for, though, is HD video playback and some hardware acceleration when encoding videos. In those categories, this card did as well as you’d expect it to. Unfortunately, the only similar card I had available for comparison was an AMD/ATI HD5550. 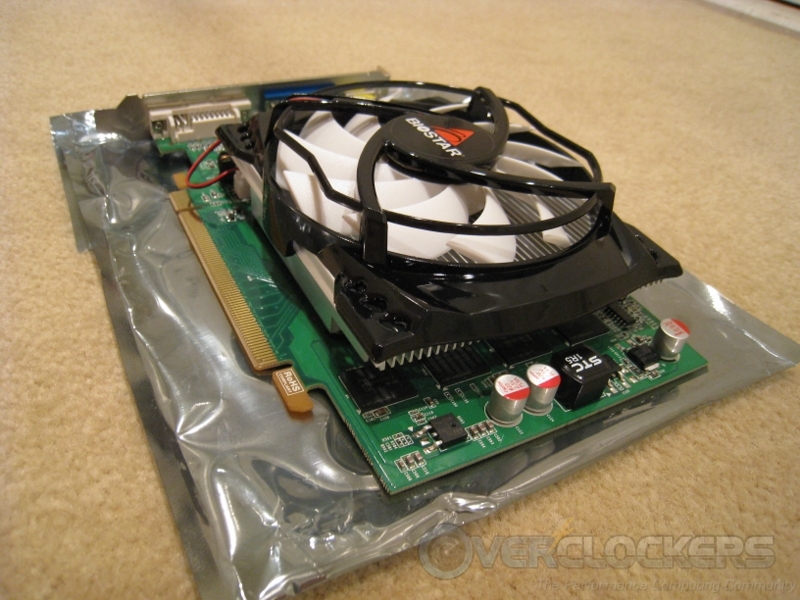 While it is in the same market sector as the GT240, it isn’t a direct competitor. 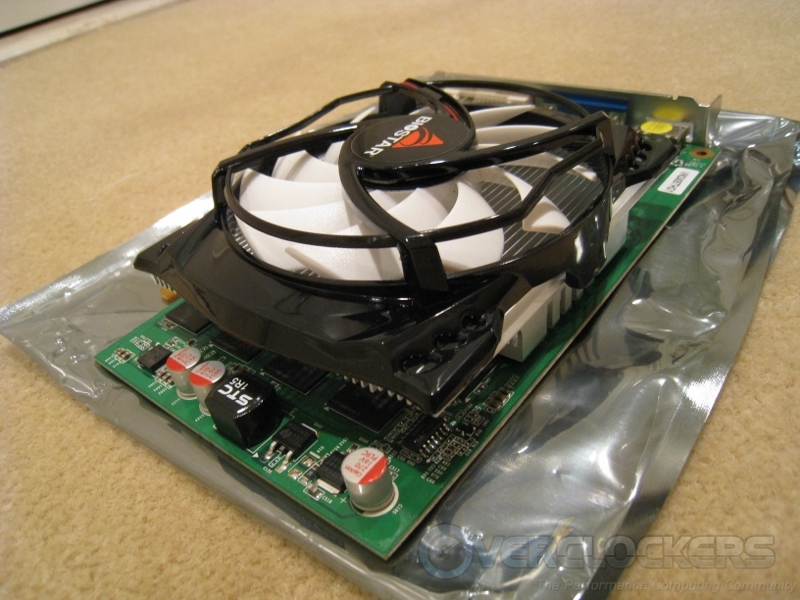 The HD5570 and GT240 are supposed to be more evenly matched both spec-wise and price-wise, but the HD5550 should still give a good indicator of relative performance. 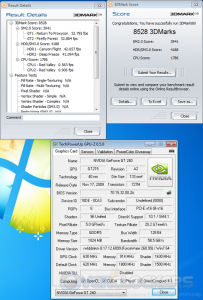 When I was setting up to start benchmarking these cards, a very funny thing occurred. 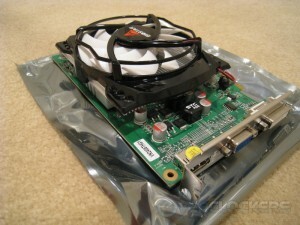 The two Mini-ITX boards (common for HTPC setups) I had both refused to recognize the GT240. 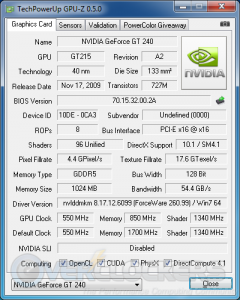 The HD5550 and an old GeForce 7950 GT had no issues with the mini-ITX boards, but for some strange reason the GT240 would not initialize. 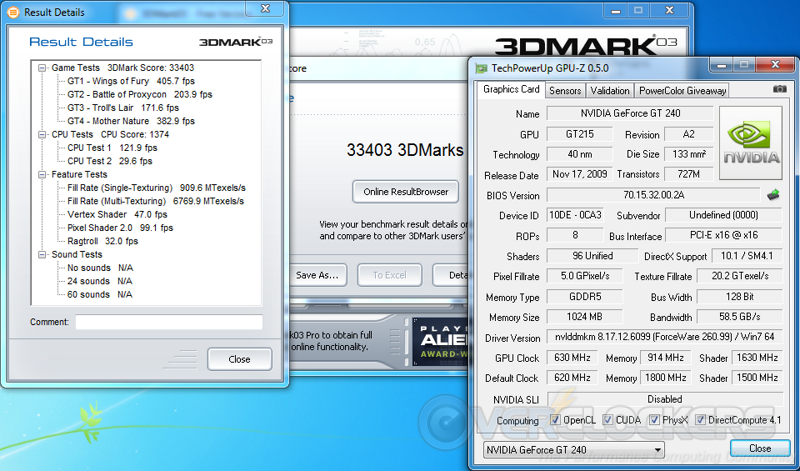 So, I was forced to use my backup system to complete the tests. I ran into another issue when I tried to run 3DMark01 and Aquamark with the GT240 overclocked. The card would always throttle down its speeds and the scores would end up being horrendous. 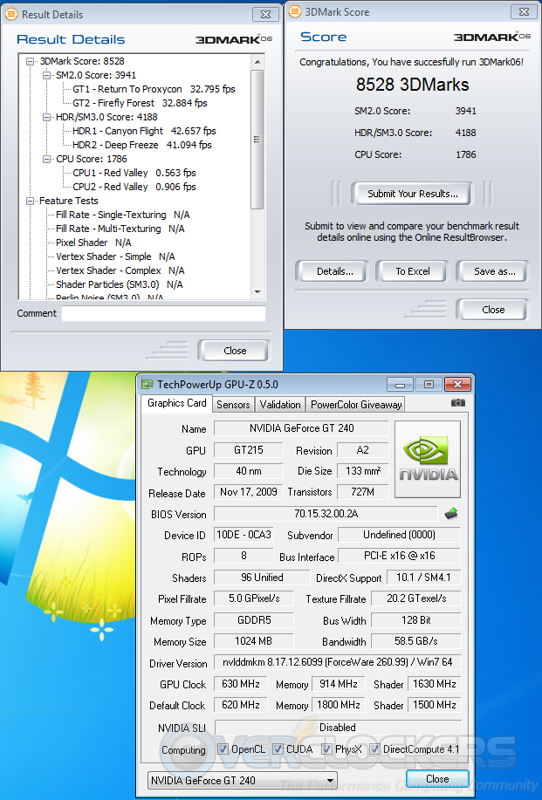 It’s a very odd bug because none of the other benchmarks experienced the same effect and would run fine with the card overclocked. 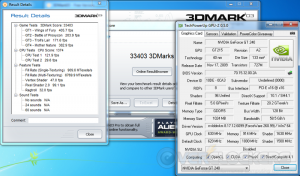 3DMark Vantage is the most telling of the true performance of this card, because it is designed to use DirectX 10.0 which the generation the GT240 is designed for, too. I ran the Desktop Graphics suite of tests that is part of Phoronix Test Suite. Its easy to see that the HD5550 and GT240 aren’t meant to compete directly with each other, but the results do show that it is possible to game in Linux with the GT240 while the HD5550 is questionable. 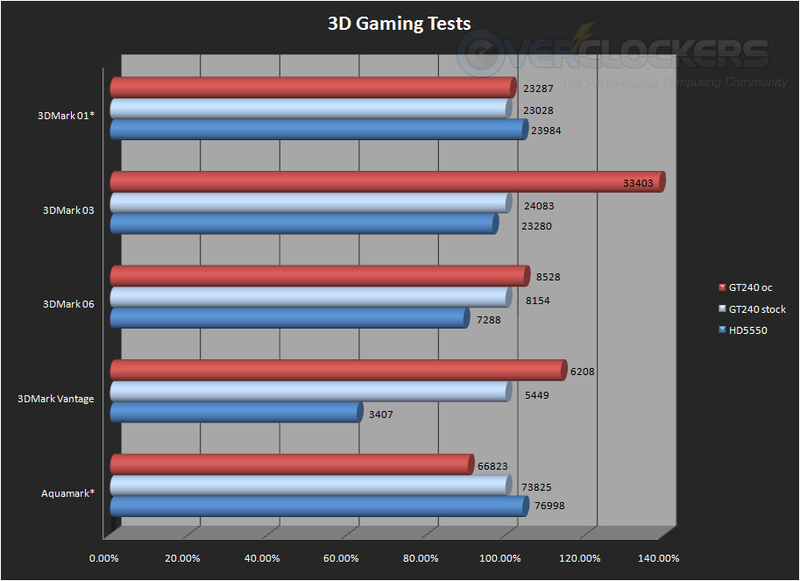 The one surprise here is that the HD5550 won the GtkPerf test (lower is better). 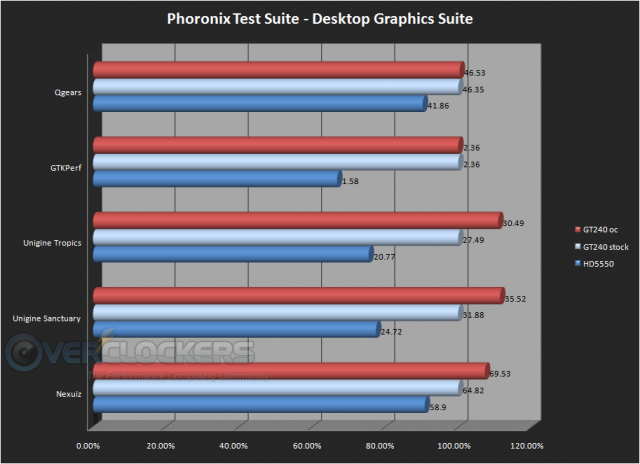 What is also strange about this test is that the overclocked and stock clocked GT240 scored exactly the same time, which leads me to believe that there is something else at play here other than video card performance: this is possibly due to the drivers. 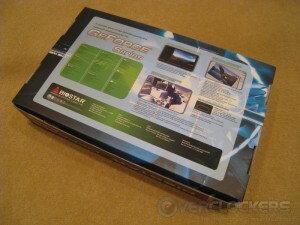 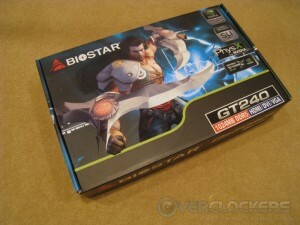 The Biostar Geforce GT240 with 1GB GDDR5 is a very capable HTPC or low-end desktop graphics card. 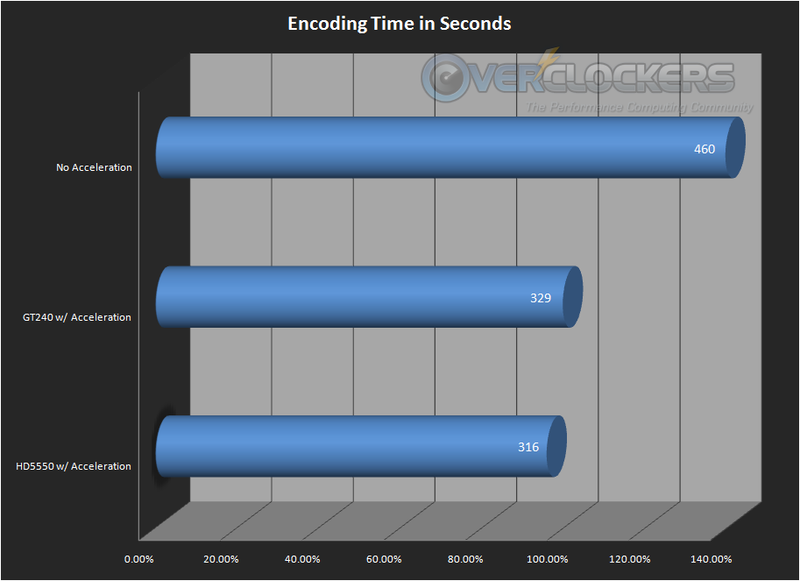 It performs well for light video encoding, decoding, and low-end gaming tasks. 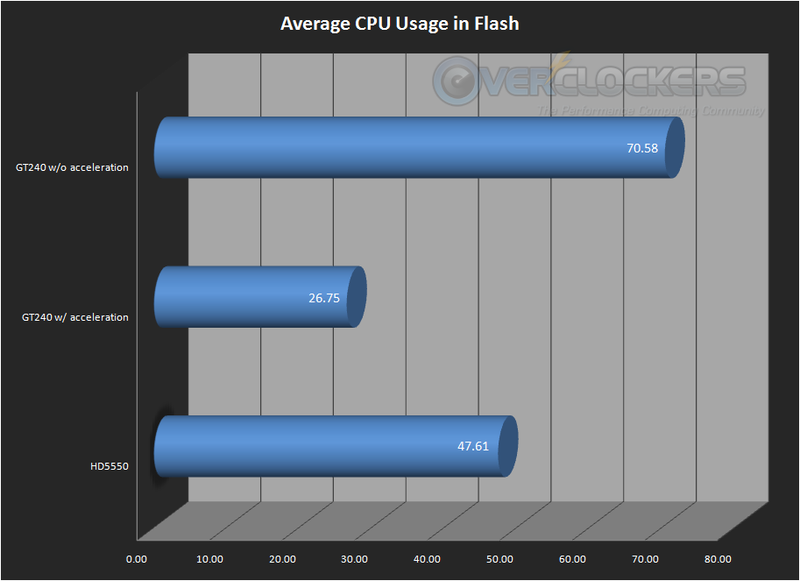 The best part is it can be paired with a low end processor and still handle displaying 1080(i/p) video, potentially saving you a lot of money. 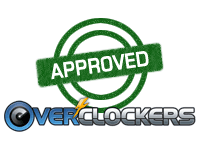 Since you can overclock it moderately and it performs well for its intended use, I’m making this Overclockers Approved. 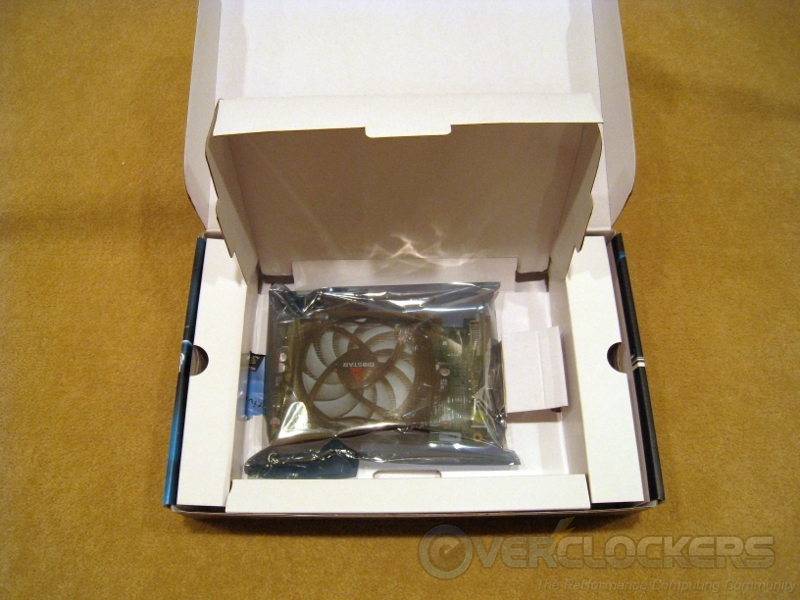 Did you ever get the bottom of the issue with the MiniITX boards? 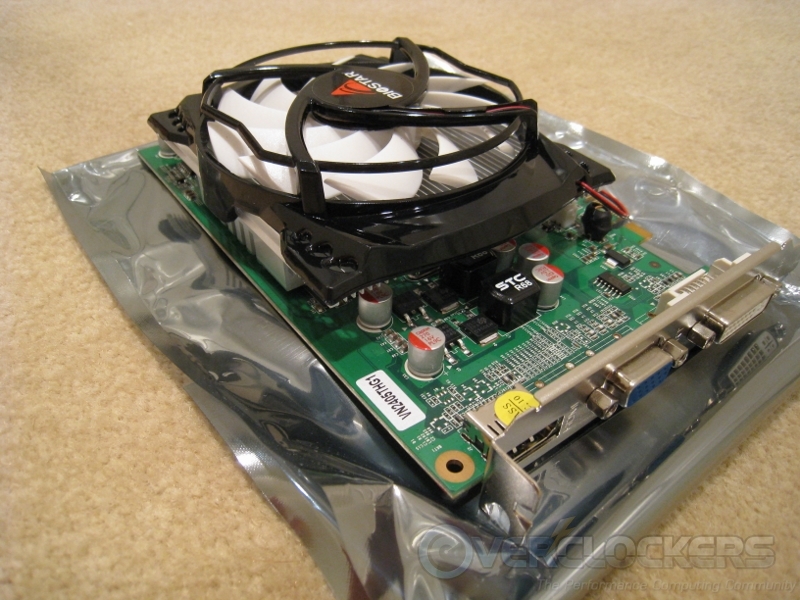 I guess the HD5550 is still in the HTPC? 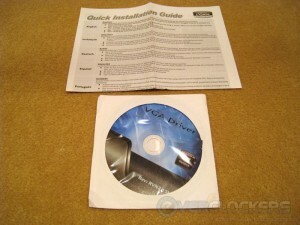 no, never figured it out. 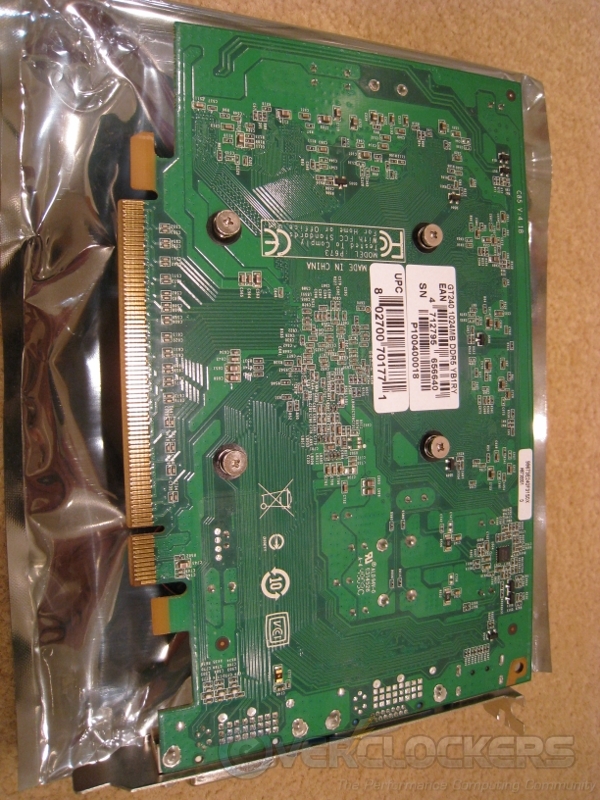 still have no idea what was going on. 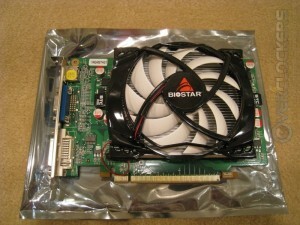 I was in contact with both Mvix and Biostar but never got a solid solution.